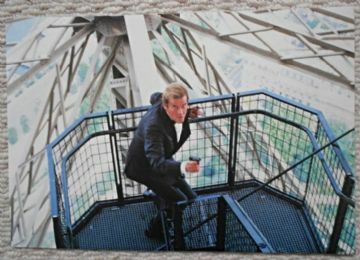 This still features James Bond at the Eiffel Tower. 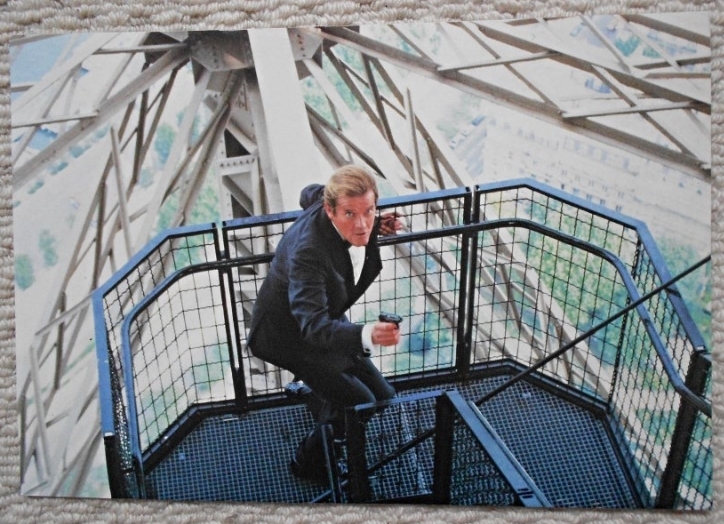 This still is in Fine- condition and measures 7.25" x 10.5". There is a tiny ding top left corner.